To shop for vent covers, heat registers, floor diffusers, and decorative vents go directly to our air vent selection page. 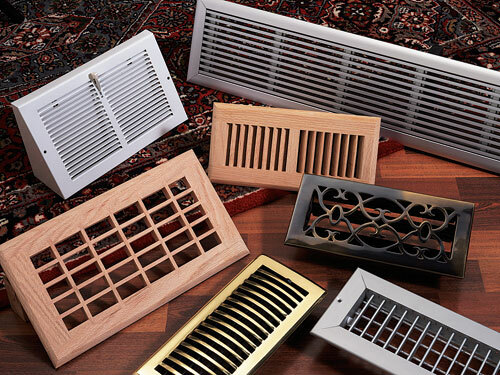 Atlanta Supply Co. carries a great selection of registers, air vent covers, floor furnace grilles, pipe, air diffusers, custom cut air conditioning vent covers and more! We have been in business for over 50 years and are known for our outstanding service. We always have an amazing selection of air diffusers, air conditioning vent, air vent covers and more in stock and ready to ship today. Atlanta Supply Co. provides a level of service that the big chain home improvement stores cannot touch. We are able to provide home owners and commercial contractors with personal service that is unavailable at a large supply store. The personalized touch does not mean that we don't have a wide selection. We carry an amazing amount of products, including light and outlet covers, thermostats, fans, indoor air quality products, and energy efficiency products to fit any decor. Browse our great selection today and contact us with any questions.